With the new season about to get underway, Neath Rugby Supporters Club have donated some training equipment to the squad. 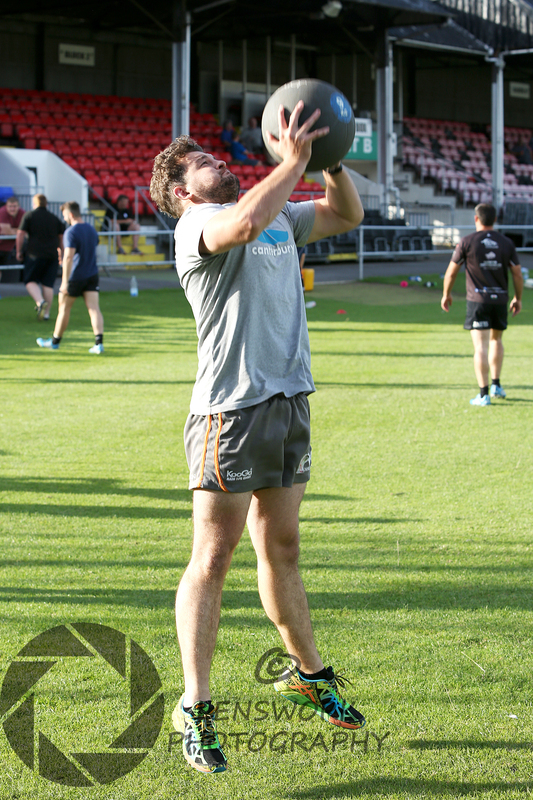 The equipment which has been used during the squad’s pre-season sessions include hurdle kits, cast iron kettlebells, ropes and medicine balls. The equipment marks the single biggest donation ever given to the squad since the supporters club was formed two years ago. The equipment was bought with the proceeds of the Hall of Fame evening held last May. A spokesman for Neath Rugby Supporters Club said “It’s been another difficult off-season for Neath RFC, but now that those problems are behind us the coming season will hopefully mark a new chapter in the history of the club. We’re sure the players will find the equipment useful as they prepare to take us back to the top of Welsh club rugby”. With the countdown on to the start of the campaign, supporters are encouraged to join the supporters club for the 2015/16 season. Membership remains at £10 for the season and will allow members to receive many discounts and benefits throughout the coming season. Any profits the supporters club make is ploughed back into helping the team. Memberships will be available to purchase from the supporters club table in the clubhouse at home games. This entry was posted in Hall of Fame and tagged donation, Hall of Fame, Neath RFC, Training Equipment. Bookmark the permalink.